What Determines Who You Are? As usual, I am finding there is so much I want to do and yet so little time to do it all! 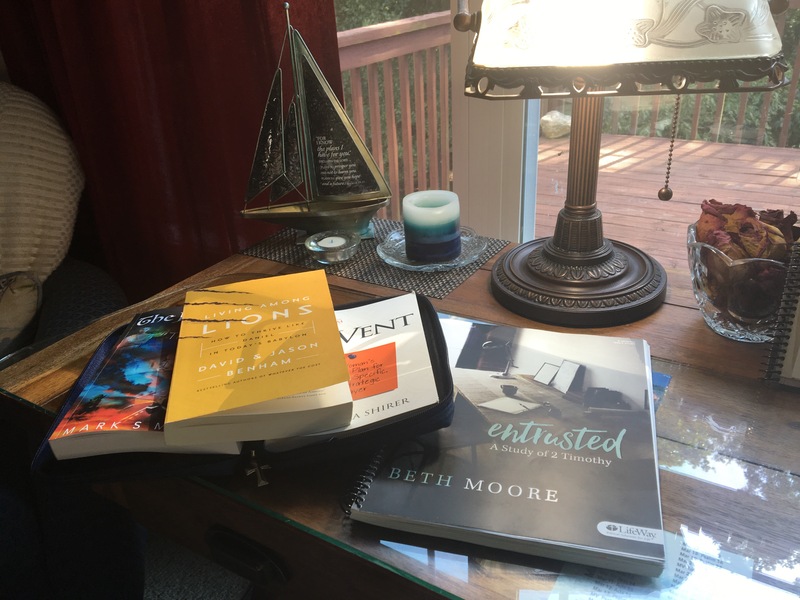 For example, I am scanning the new Entrusted Bible Study and reading both a Christian Non-fiction book on Daniel, another on prayer (with a friend) and a fiction book on prayer based on several non-fiction characters (with my husband). Yes, I am a little crazy that way! Now for the cool part! They all converge on the topic of identity. That’s right! Who we are, our identity! So who are we really? Do our actions dictate our identity? Our heritage? Does the world we live in dictate our identity? Daniel and his young friends were taken captive into the custody of foreigners. These devout young men did not let their captures change their identity. Staying firm to their God-given identity was a priority in their new environment even when it threatened their very lives, they remained faithful. One quote from Living Among Lions today was “Our actions spring from our identity, not our profession; from who we are, not what we do. If it is true that our actions are directed by who we are, our identity or how we see ourselves; then what do our actions reveal about us? or are they in contradiction? than with who we truly are? even under the influence of an identity thief? Wow! Just based on these verses alone, what will our life be like if we find our identity in these promises? How would life change? If we begin to look at God’s description of our life based only on who He says we are and daily gaze upon that reflection; what would our lives look like in a week? A month? Or in a year? Would we see the likeness of Christ forming in our lives? How would life change if we were focused on who we are and whose we are instead of what we do? Can you imagine meeting someone for the first time and rather than asking them what do you do; asking who are you? What are you passionate about? It just might make for some highly unusual first impressions! Heavenly Father, please teach us to look to You for our identity. Help us find our true value and worth not in the things of this world or in what others have to say, whether good or bad; but to find it in who You say we are. Give us wisdom and understanding as we walk through life to see beyond others opinions and superficial comparisons to walk in the fullness of who You created us to be. Grace and peace to you, In the Mighty Name of Jesus Christ!